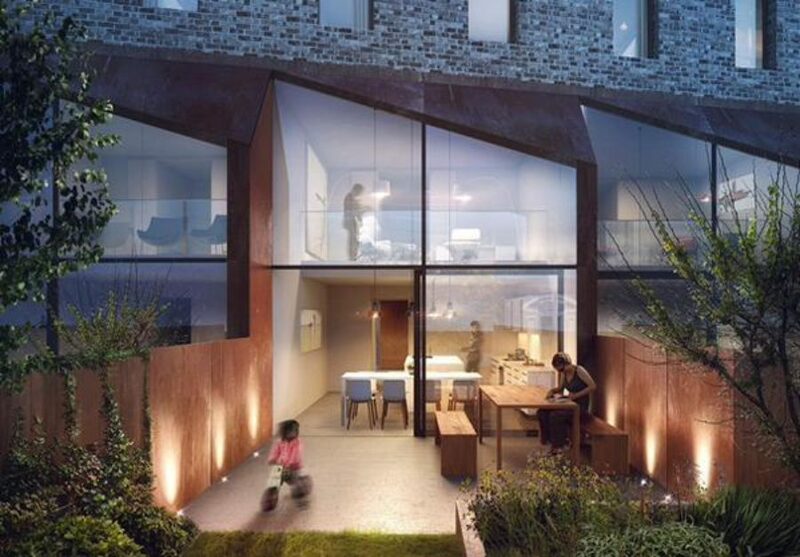 The UK’s leading architects for residential development, Mikhail Riches has won a competition to design 20 new townhouses at Television Centre. The competition was organised by Television Centre’s lead architect Allford Hall Monaghan Morris and saw off competition from three alternative leading architects. The two rows of new housing will be centred around the triangular plot of land next to Hammersmith and City Tube line just south of Television Centre. David Mikhail says that the two rows of terraced homes shared a "common façade onto the public triangle" at the front but responded "very differently’ at the rear, with those situated closest to the railway track designed as courtyard-style homes." Ron German, Director of Stanhope said, "we are delighted that Mikhail Riches will be joining the team at Television Centre, showcasing the very best in British design."